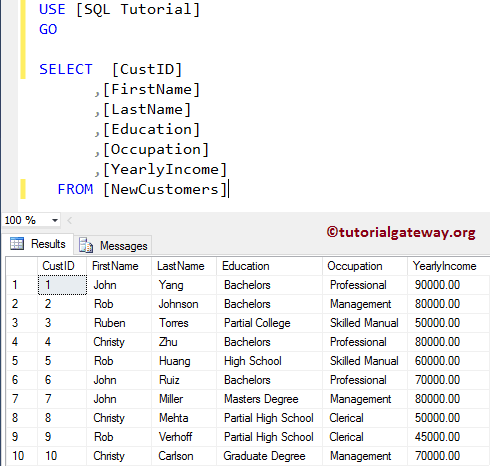 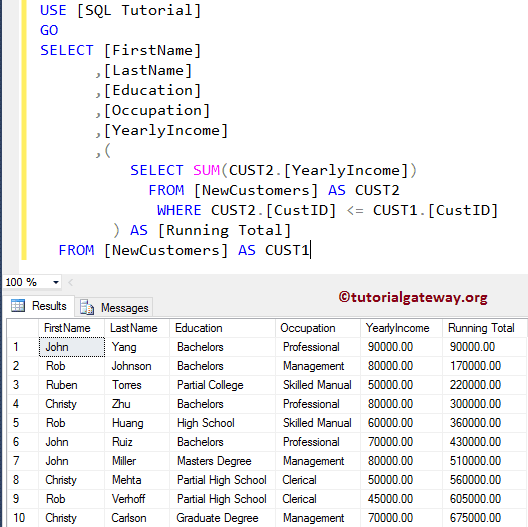 In this example we will show you, How to Calculate SQL Server Running Total using the SUBQUERY. 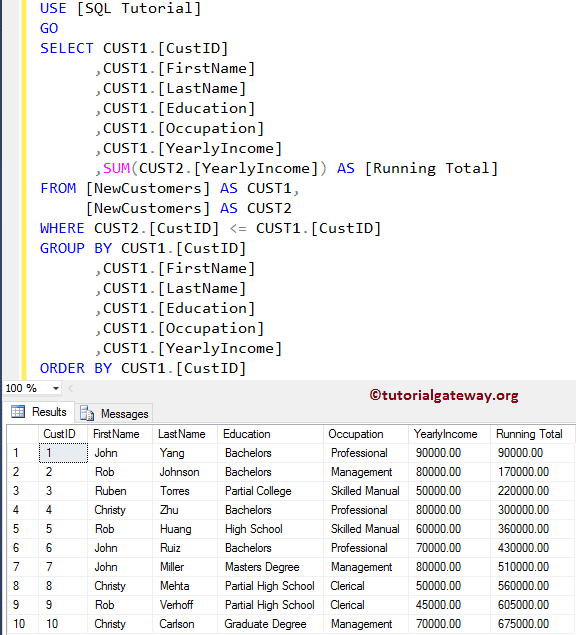 In this example we will show you, How to calculate SQL Server Running Total using the JOIN, GROUP BY, and ORDER BY Clause. 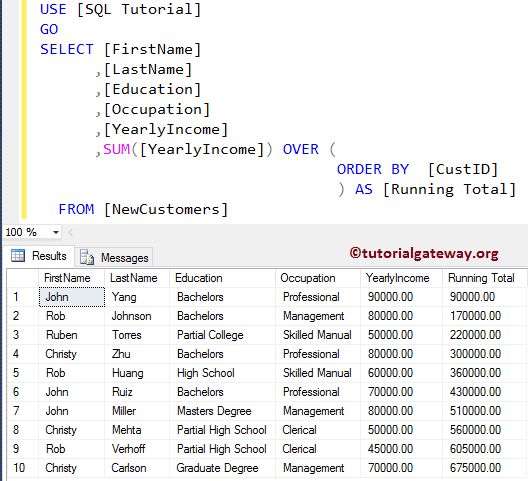 In this example we will show you, How to calculate SQL Server Running Total using the SUM Function, and OVER.